A beautiful, girly card made especially for that extra-special friend. This super-cute card makes the perfect choice for a special friend. Whether it be sent as a 'thank you for being there' or 'just because', this card is guaranteed to put a smile on the recipient's face! 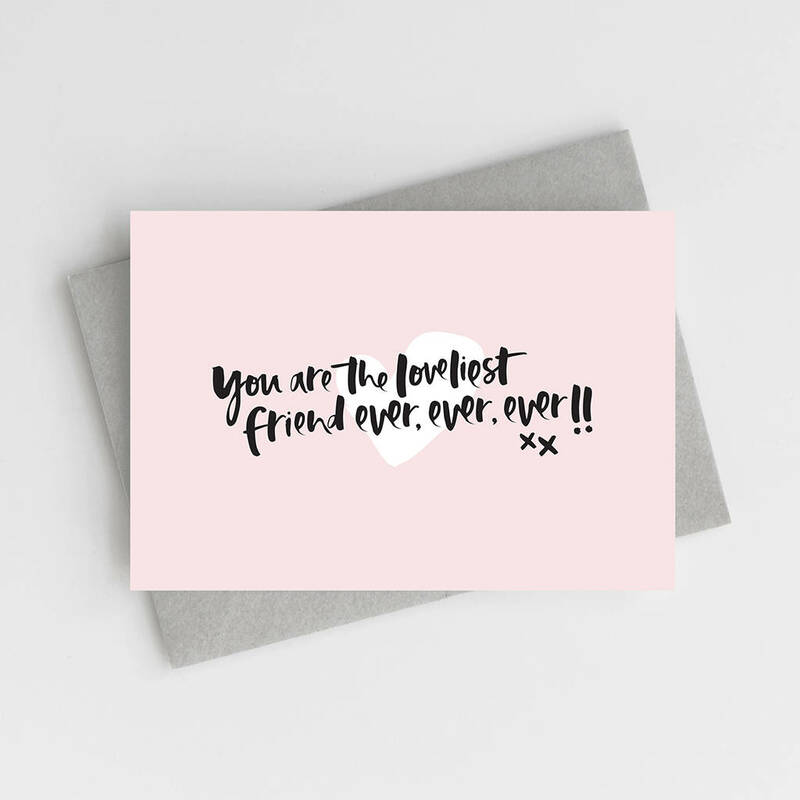 Featuring our classic, hand lettered typography, the phrase 'You Are The Loveliest Friend Ever, Ever, Ever!' is written in deep black ink, layered over a soft, blush background and finished with a hand drawn love heart and would make the perfect card for a special friend. Our unique, contemporary and eye-catching designs are printed on luxurious, eco-friendly, textured card and teamed with a recycled grey envelope. 'Loveliest Friend Ever' Card is 10.5 x 14.8cm (A6) and comes with a 11.4 x 16.2cm (C6) envelope.